Stopping sexual harassment: Ready for a ‘witch hunt’? Startup Vantage Point uses VR to improve anti-harassment training, allowing participants to experience a situation in which they're a bystander and practice responses. Remember your company’s last sexual harassment training? It’s understandable if the answer is no; these trainings are outdated and ineffective. Most studies show that training is based on content from the 1980s and the 1990s, and even that’s focused on how to avoid litigation – not on actual strategies for preventing harassment in the first place. “The limited evidence available suggests this type of training is ineffective at preventing harassment. In an early paper reporting on a series of studies conducted in the 1990s, researchers looked at trainings that had been put in place as a result of settlement agreements at two employers, a large utility organization and an agricultural business. The overall conclusion of these studies was that training did not significantly change employees’ attitudes toward sexual harassment. After the training, there was no evidence that sexual harassment decreased in those workplaces but there was an increase in complaints to human resources. So, what’s actually going to help eliminate sexual harassment in the workplace? The Psychology Today article suggests that organizational culture as a whole plays a large role in helping to shift behaviors and mindsets that contribute to harassment. And bystander intervention training has also proven effective, according to this article from The New York Times. I’ve written ad nauseum about the need for every single person (especially those in the majority i.e. straight, white, cis men) to stand up and speak out when they see or hear harassment happening. When you see something, say something. That’s great in the hypothetical, and we’d all like to think we’d be the person standing up against an offender. But in reality, it’s a lot tougher than it sounds. Social pressure, not wanting to “rock the boat,” fear of retaliation — all of those factors combine to silence even the most ardent social justice warriors. VR company Vantage Point is a startup developing comprehensive, multi-step sexual harassment training programs experienced in virtual reality. Vantage Point offers tools for identifying sexual harassment and assault, stigma transformation, real-time response and reporting training, behavior correction, impact training and bystander intervention training. “It’s one thing to go through a typical anti-harassment training. It’s entirely another to be faced with a situation in real life,” says Morgan Mercer, founder of Vantage Point. “It’s called ‘state-dependent learning,’” Mercer explains. While you might assume you can revert back to and remember your training, that doesn’t always happen. “In the moment, the stress, the pressure, the emotional stimuli — the ‘Oh, my God, what’s happening? What do I do? How do I react? What if? What now?’ reactions — flooding your brain are going to completely override any of the ‘traditional’ training or learning you may have done,” she says. 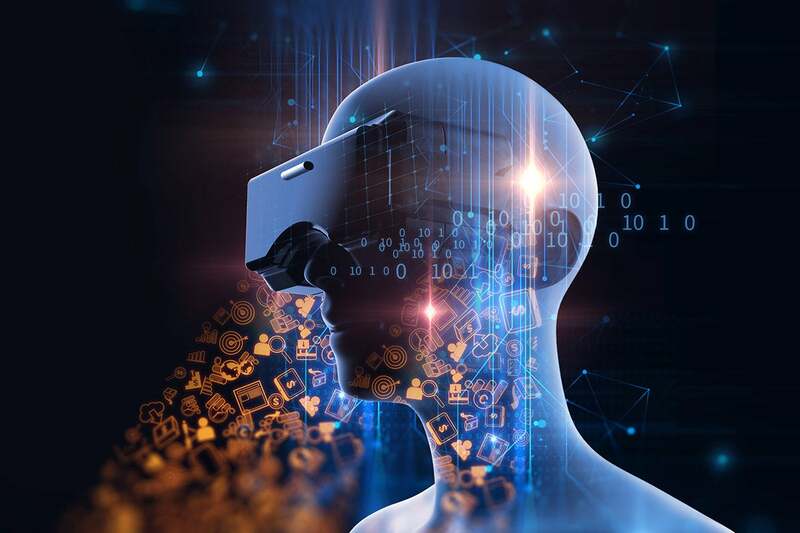 With a VR solution, participants can actually experience a situation in which they’re a bystander and practice responses, so that when the time comes, they can act and react in helpful and effective ways. Vantage Point’s algorithms can also take into account unconscious biases and personal experiences, and they can be tailored to the needs of each individual participant to deliver the most relevant information, she explains. While Vantage Point is still new — Mercer and her team just secured their first investor — the potential here is incredible, and she says she’s received an incredible number of requests from corporations, government entities and small businesses looking to leverage the technology. “There are so many use cases for how this can effect behavioral change. And with the new sense of empowerment around #MeToo and #TimesUp, I think we’re going to be incredibly successful,” she says. It’s a strange thing to say about anti-harassment training, but — how freakin’ cool is that? I’d sign up for this in a heartbeat! I’m so excited to see where the company goes and, hopefully, to witness a future where everyone’s more empowered to stand up and do the right thing.